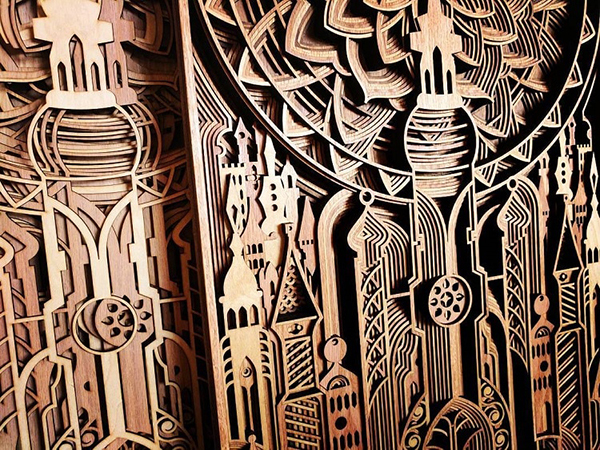 Oakland based artist Gabriel Schama creates surreal, Art-Deco inspired sculptures of densely layered, laser-cut pieces made from mahogany plywood. 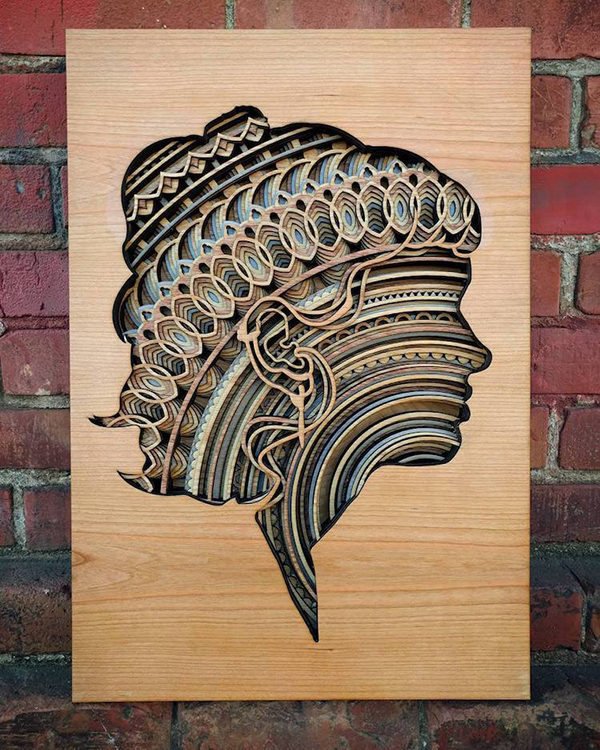 He begins his designs with vector illustrations that are cut by Elsie, his laser cutter. 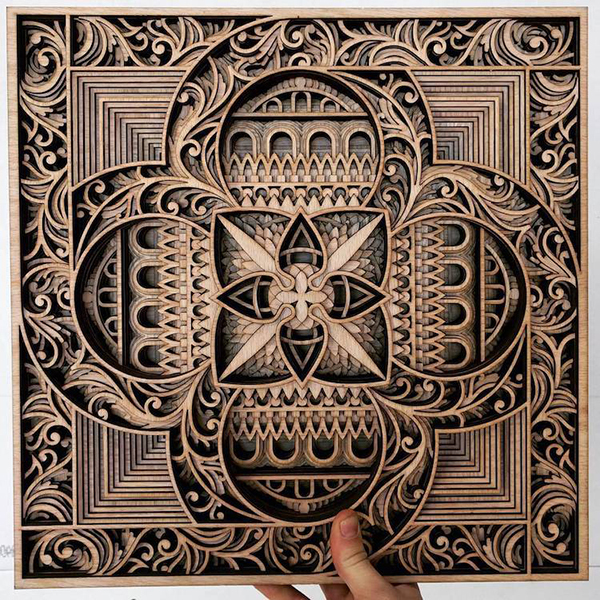 The lasers intricately carve the designs into 1/8-inch sheets of plywood, which are then glued together and varnished. The outcome is elaborately textured geometric shapes flourished in various tones. 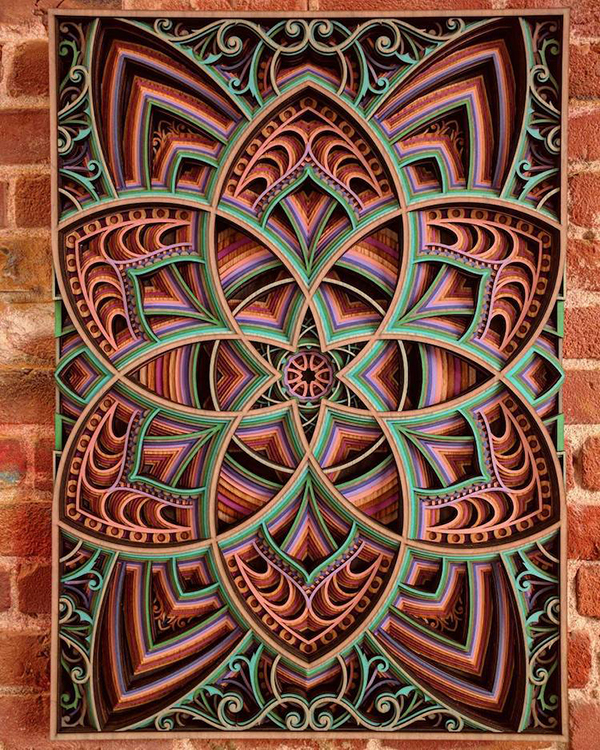 The 3-dimensional mandalas are comprised of ornate layers that twist and overlap into decorative scenes. Schama perfectly intermixes the world of illustration with sculpture.